Rishi and Neetu are celebrating their 39th marriage anniversary. 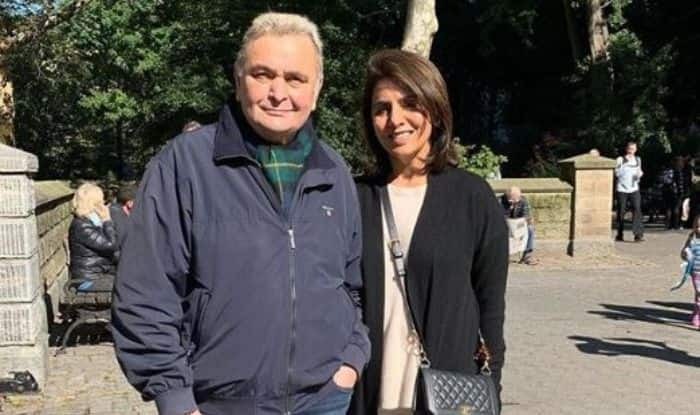 Rishi Kapoor and Neetu Kapoor are one of the most adorable couples of the industry. They have completed 39 years of marital bliss and on their anniversary; daughter Riddhima Kapoor Sahni shared an emotional post. She posted a collage of the couple’s throwback pictures and traced their journey. This indeed is a wonderful gift for the two actors. From supporting each other during tough times to giving hit films together, Rishi and Neetu have been giving relationship goals to their fans. Rishi is currently in New York undergoing medical treatment. It was being said that he is suffering from cancer. However, his brother Randhir Kapoor revealed to a leading daily, “I don’t know much about it but this much I can tell you that Rishi is doing well. Let people say whatever they want to. That he is doing is well is evident from the photo that I, too, have seen. He is having a good time with everyone and has stepped out to enjoy a good meal. He will soon be coming back to India. We are looking forward to that right now. On a related note, Rishi and Neetu have worked together in Zehreela Insaan, Do Dooni Char, Besharam and Amar Akbar Anthony.